BILLINGS, Mont. 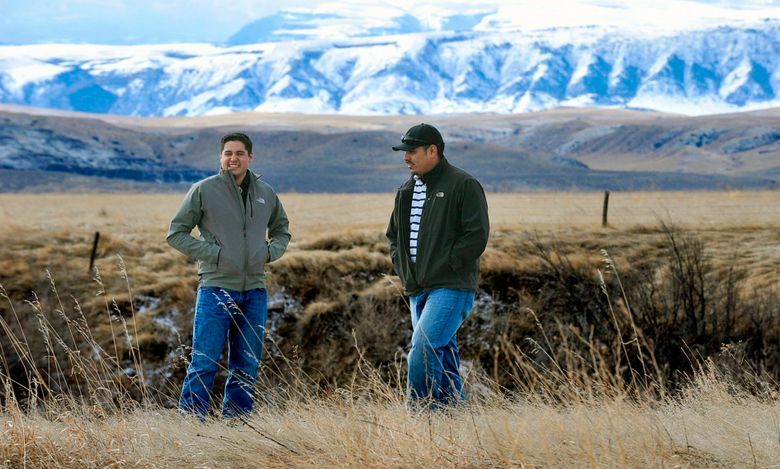 (AP) — The U.S. Supreme Court should review a case in which a Crow tribal member and game warden from Montana is asserting his treaty right to hunt elk in Wyoming’s Bighorn National Forest, a top official with the U.S. Department of Justice said. A ruling could resolve disagreements among lower courts with regard to tribal treaty rights, U.S. Solicitor General Noel Francisco wrote in his recommendation, issued this month. Clayvin Herrera is appealing his misdemeanor conviction for killing an elk in the forest in January 2014. He was sentenced to probation, ordered to pay $8,080 in fines and costs and lost his hunting and fishing privileges for three years. Herrera’s defense argues the 1868 Fort Laramie Treaty granted tribal members the right to hunt on unoccupied lands that the Crow Tribe had ceded to the United States through the treaty, including large portions of Wyoming and Montana. The Wyoming Supreme Court rejected his case, saying the issue was decided by the 10th U.S. Circuit Court of Appeals in 1995. The 10th Circuit ruling was, in part, based on an 1896 U.S. Supreme Court ruling that said tribal treaty rights “are irreconcilable with state sovereignty.” The appeals court also ruled that the area became “occupied” when it became a national forest. The 1896 Supreme Court ruling has since been overturned, Francisco noted. The Idaho Supreme Court, the 9th U.S. Circuit Court of Appeals and the Montana Supreme Court all recognize tribal hunting rights on unoccupied lands, including national forests, Francisco wrote. A U.S. Supreme Court ruling could settle the issue and determine the definition of “unoccupied lands”, he said. The Wyoming attorney general has the opportunity to respond to the solicitor general’s brief. If the U.S. Supreme Court decides to take on the case, both sides will likely have to write briefs arguing their case. The U.S. Supreme Court takes the summer off. It resumes deliberations in October.